Sonic Mania is a vinyl album containing the soundtrack of Sonic Mania. It was available for pre-order from July 22, 2017 at 8:00am (BST) to July 24, 2017 at 12:00pm (BST). Pre-orders for the album, excluding the limited edition, went back up again on July 26, 2017. The album was shipped in September 2017. The album includes a download code of the tracks in both lossy and lossless formats. Three editions have been released: 180g Classic Black, 180g Translucent Blue and a limited 180g clear record with blue, red, orange and yellow splatter designs. Due to high demand, the translucent blue edition of the album was made available once again on August 16, 2017 and November 3, 2017 and was set to ship in October 2017 and December 2017 respectively. 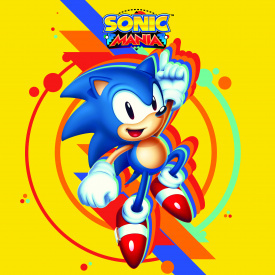 Another pressing in Summer 2018 was announced shortly after the release of the Sonic Mania Plus trailer. This page was last edited on 11 July 2018, at 20:27.